Sometimes it is not only what you know, but who you know. Knowing the right people can not only make things easier, in the case of the 2016 Directory of Owner Financed Note Buyers, it could also make you more money! Gain access to our personal Rolodex of experienced note professionals that took years to develop. Work direct with knowledgeable investors, educators, and master note brokers. 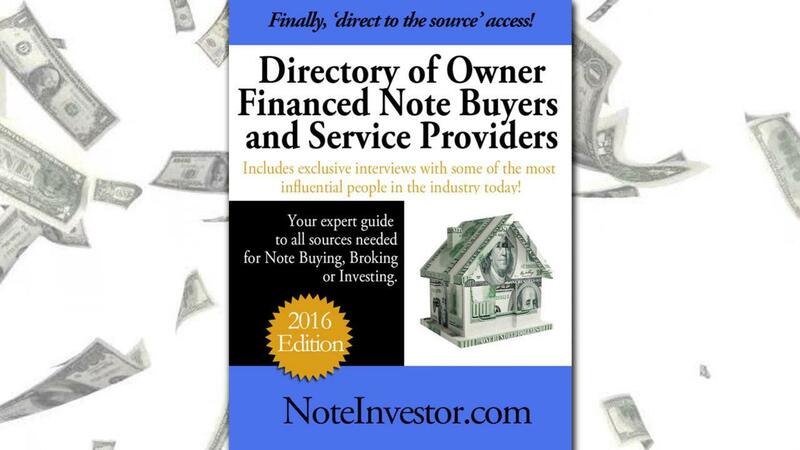 Order the 2016 Note Buyers Directory (immediately downloadable pdf) for an up-to-date listing and detailed contact information for today’s top note buyers and service providers. What if you could have 12 Funders and Key players in a room and ask them questions? Do you think you could get some valuable information to help your Note Business? You bet you could! We still have a section dedicated to non-performing note investors. This is in addition to the seller financed note buyers and the exclusive investor interviews – bringing the new directory to over 90 pages. You get BOTH the Rolodex of Investor contact information AND the Funder interviews in the 2016 edition of the Directory of Owner Financed Note Buyers and Service Providers! 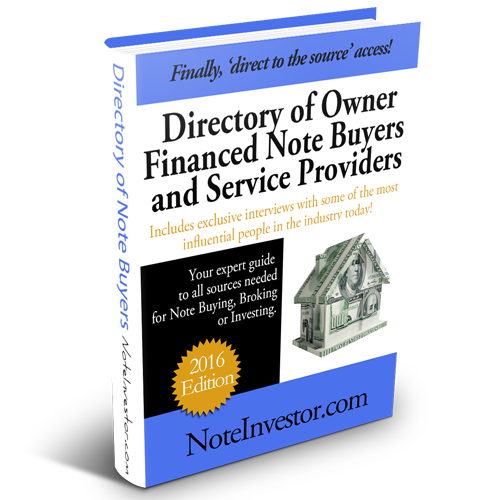 This directory alone could save you hundreds, even thousands of dollars when you go to sell or broker a note. 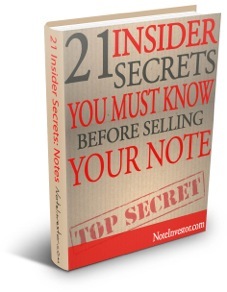 As a Bonus, you will also receive a digital copy of 21 Insider Secrets You Must Know Before Selling Your Note! Special Note: The Note Buyer Directory and 21 Insider Secrets Ebook are also included in the Finding Cash Flow Notes Training for no additional cost!